Our mission is to work with indigenous professionals to improve the lives of people in need through sustainable programs that build their capacity while also helping to develop global awareness among program participants. Our vision is that EIA will become a holistic organization of caring professionals working to build local capacity and a sense of dignity and hope in communities all over the world. 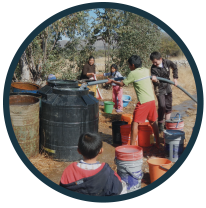 Engineers in Action is a 501(c)3 non-profit organization founded in Tulsa with offices in Bolivia. Our network includes engineers, students, and humanitarians. Building complex but sustatinable partnerships. EIA takes the top priority (s) of a community and begins recruiting partners for the project; each with its own special gift to the project. 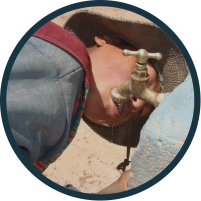 Currently, we are in partnership with 10 EWB-USA chapters, dozens of US, Canadian and Bolivian Rotary Clubs, and many others (see “The Partners of EIA” in one or more of our 17 projects. Providing logistical support for volunteer engineer organizations. Our international staff serves as the local liaison for volunteer teams traveling to construct these projects. We provide transportation, supplies, constant timely communication between US groups and the indigenous community they are working with, culture training, emergency services, reservations for hotels and air fare, consultation, translation services, and engineering services. Sustainability – Our Most Important Task. EWB chapters, Rotary Clubs and others are constantly struggling with the “Sustainablity Challenge”. Bolivia and the whole Developing World is littered with well-designed, well-meaning, and often expensive engineering projects that no longer work. Training a few locals in basic operation and maintenance of a project doesn’t work because they forget, they never really understood, or they leave the community. EIA engineers live and work in Bolivia. Once a project is completed, we go back frequently (often every 3 months) to make sure that all is going well, and to train/retrain locals in proper use and basic maintenance of the facility; and they know where to go if there is a major problem. Click here to see the EIA policies and guidelines.